Big Bad Quiz mobile triiva from Fierce Fun on Vimeo. If you like TV quiz shows, you will love Big Bad Quiz. 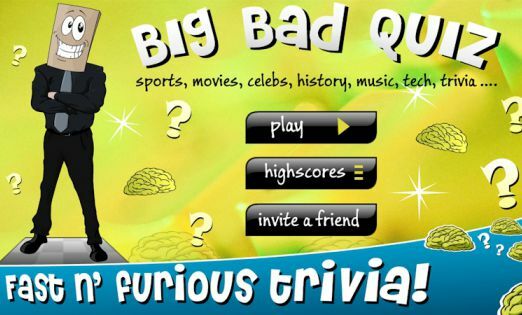 It’s a fast, fun and furious trivia quiz game hosted by the one and only Bag Man. He is one crazy quiz master and has scoured the universe for the toughest questions ever. With topics like sports, music ,movies, history and celebs, the full game features over 150+ levels of ultra fast non-stop rounds. 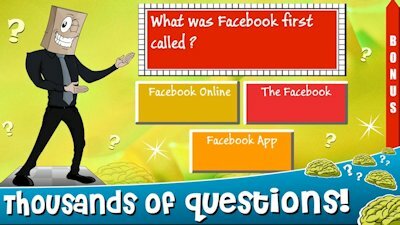 With only seconds to answer each question, a fast brisk brain and snappy fingers are needed. No waiting for other players, just get going. 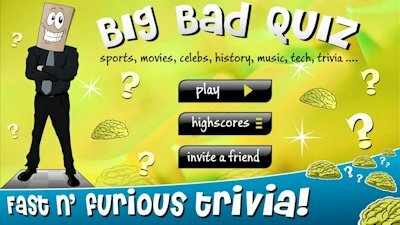 Big Bad Quiz is packed with truck loads of tough challenging questions that will come at you relentlessly. While playing, you will be presented with a mixture of topics, so your brain has to stay alert at all times. Be warned though, you will have only a limited number of game lives before the Bag Man busts you out of the game. The Bag Man will be challenging you every step of the way, making sure that the questions get harder with every round. Being a quiz host, he’ll let you know when you are playing badly, in his own special way. Big Bad Quiz is not for the faint hearted - like a rhino on roller-blades, it is big, mean and fast. 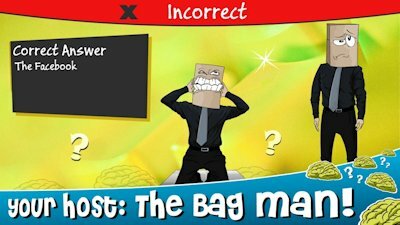 The Bag Man challenges you to take on The Big Bad Quiz!